How do earthquakes affect the behavior of dogs? I know personally from a clinical practice in Southern California that dogs occasionally become fearful and anxious. For example, I have administered behavioral therapy to dogs who became frightened of their living quarters immediately following an earthquake. This obviously happened because of the association with a dog’s familiar home environment and the shaking caused by the earthquake. On the other hand, until my reading of the study discussed below, I was unaware any evidence indicating that dogs may become more aggressive. Evidence supporting the belief comes from a study undertaken by Japanese researchers. The study found increase in dog bite incident to people following the earthquake in Fukushima in March 2011. (Prev Med. 2013 Oct;57(4):363-5). Data was collected by looking at emergency room visits for dog’s bites one year before the accident and 3.5 months after the incident. The dog bite incident rate was .021/100 before the earthquake and 6.5/100 after the earthquake. Dog bite incident rate peaked at three weeks post-incident and then decreased back to the .021/100 baseline. So the results do suggest a relationship between the Fukushima earthquake and dog bites. Also note that following the earthquake (and subsequent nuclear accident) nearly all people were evacuated from the area but dogs were left behind. Hence, by chance alone one would have expected to see a decrease in the incident of dog bites. What remains unclear is an explanation for the results. Note that study was correlational in nature. Hence, causation cannot be implied. Why did the dogs become more aggressive? Was it due to the trauma of the event, how people reacted with a encountered a stray dog, the presence of radioactivity or the prolonged separation from their families and people? The study did not provide answers. One may speculate that the manner in which victims reacted to a stray dogs they encountered after the earthquake may have motivated some dogs to bite out of fear. A different explanation would be that something – not well-understood – happened causing a quick change a dog’s biology (i.e. sickness caused by radiation exposure). 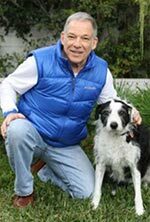 Dr. Polsky is a animal behavior expert specializing in the forensic analysis of dog bite cases. Dr. Polsky is available for consultation in dog bite lawsuits for both plaintiff and defense counsel.